The West Coast chicks at my work were lamenting their winter colds (of which I am currently suffering as I type…), and they both mentioned the virtues of “golden milk” or “golden tea” for curing what ails you. Ever the skeptic, I decided to see what the hype was about — I don’t believe the trend has hit my Midwest area hard quite yet. But it sure has hit the food blogging community! Turmeric has a ton of purported medicinal uses, which I’ll let Wikipedia extoll for you. I have heard some pretty good cases for its anti-inflammatory uses. Ginger is no slouch when it comes to these claims, either. It’s also warm and really tasty, which has to count for something when you’re fighting a cold, right? Megan, the coworker who originally brought it up, buys hers in an LA cafe for a larger-than-average amount of money ($11!). I don’t even have that option here in Chicago. I’m sure it’s available somewhere, I’m just not finding it quite yet. 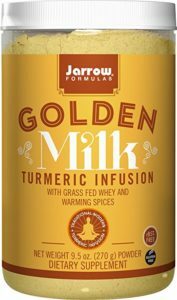 Or buy a golden milk mix! Since it’s post-New Years Eve and we’re all probably dealing with colds and/or hangovers, what’s a sick gal to do? 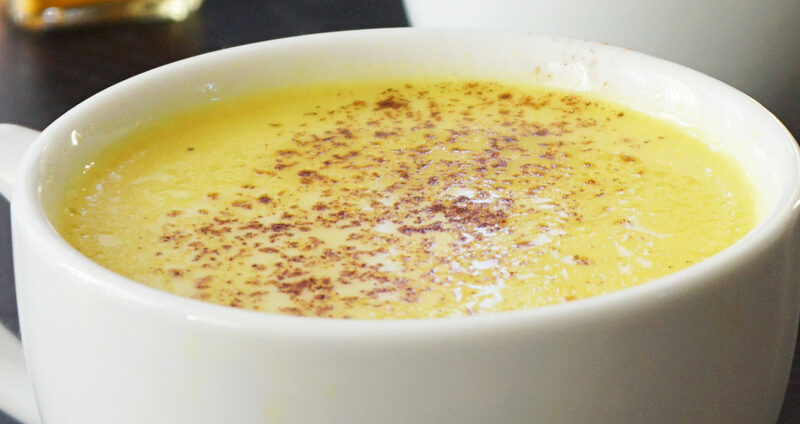 Give a golden milk recipe a go myself, of course! The ingredient list can be hefty or not depending on the recipe you’re finding. I took my cue from this recipe and from the menu in Megan’s drink (heavily simplified, natch). I also cut down the oil quite a bit since my first go-around felt too oily for my own taste. You can take it up to a full tablespoon if you prefer. I also included a super easy shortcut version that I’ve been making on the daily. The full recipe is divine, but sometimes there just isn’t time. 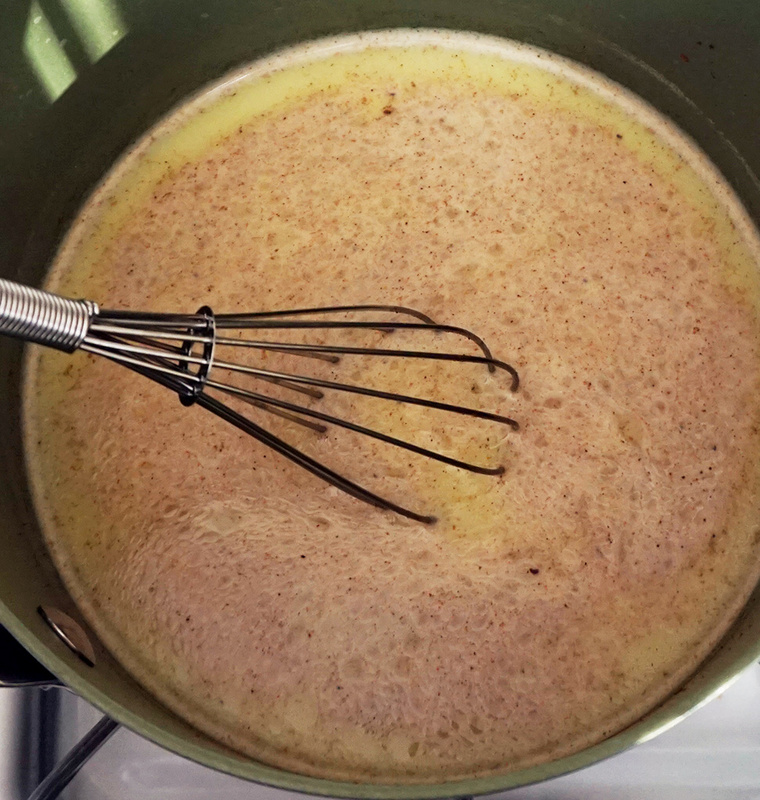 Whisk milk, spices, honey, coconut oil or ghee, and water in a small saucepan and bring to a low boil. Reduce heat and simmer about 5 minutes. 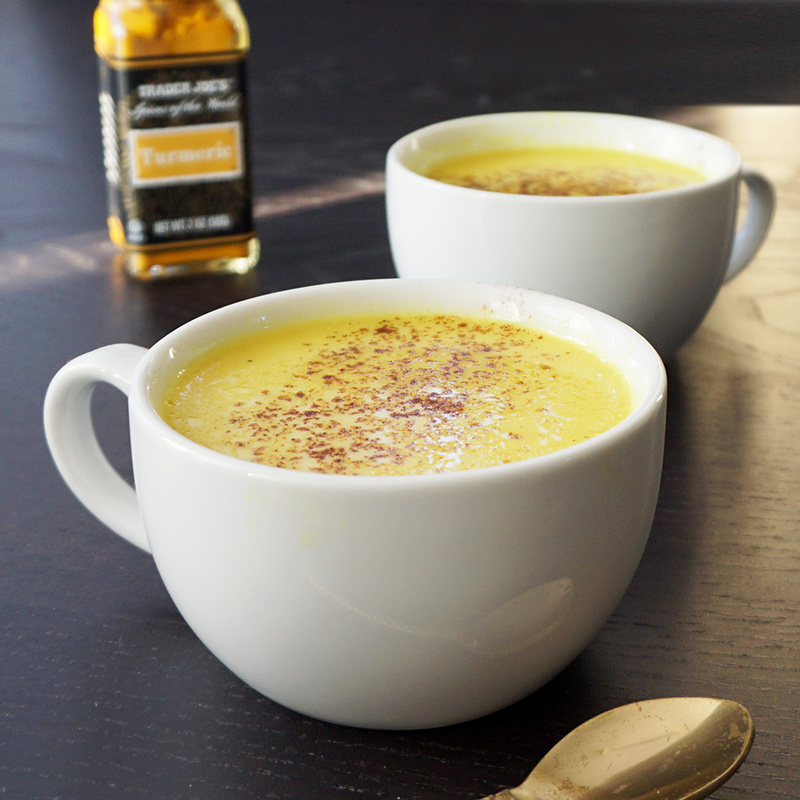 Pour into a mug and top with a dash of cinnamon. 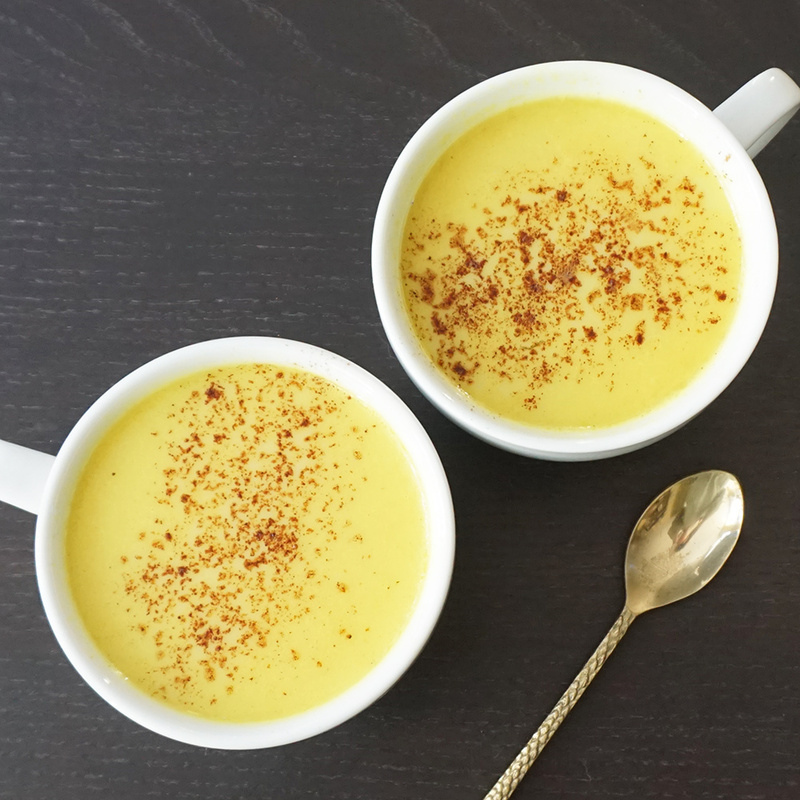 Mix 8 oz brewed chai tea with 1/2 tsp dried turmeric, 1/4 tsp ground ginger, tiny pinch of black pepper, a dollop of milk and enjoy. Whiz it up with a cheap milk frother (like this!) for extra texture. Just made this today after finding the recipe on Foodgawker and it was lovely! Like a hug in a mug! I’m not sure if you have Chai Lattes from Starbucks in the US, but it tasted just like that without the hundreds of calories! It’s definitely going to be a permanent fixture in the house! YES! My shortcut method especially gives me a chai latte vibe. Great call. Thanks so much for trying it out! this looks interesting enough to try. I always use turmeric when making chicken dishes also. I tripled the batch. Can I refigerate the tea and reheat when desired? You can! I’d probably say only for a couple of days, though. Enjoy!! If you’re out of almond milk will 2% milk work?